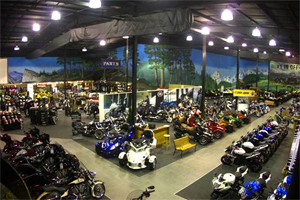 You choose where you like to ride and we help you get there with the best motorcycles, ATVs and mountain specific snowmobiles that the industry has to offer. Our special lineup of 2013 sleds available online is an industry first. Our friendly experts will also help you with accessories, riding gear, service, repair and modifications to support your specific riding style. 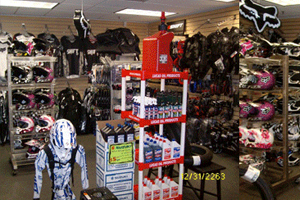 High Velocity Motor Sports is the largest motorsports dealership in the region and we are big on service. 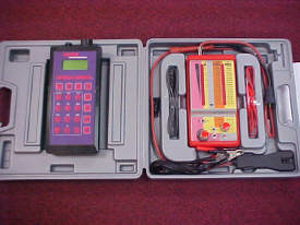 In fact, our service technicians have over 50 combined years of experience. Although we offer the most innovative products in a modern facility, we hold true to the old fashioned values of honesty and hard work. We love a challenge and with a "can-do" attitude we will work hard to take care of your needs to exceed your expectations. We hire professionals that eat, breathe and sleep this stuff! Our mission is to find a machine that is right for you. We will ask you a lot of questions so that we can help fit a machine to your specific needs. Stop in and grab one of our experienced sales consultants and let us show you first hand why we are the largest and best dealer in the state. We carry parts and accessories for your Polaris side by side, Polaris ATV, Victory motorcycle, Kawasaki motorcycle, Kawasaki ATV, Kawasaki Jet Ski, Kawasaki Mule, Kawasaki Teryx, Suzuki motorcycle, Suzuki ATV.